In the midst of a pilot strike, Ryanair was forced to cancel nearly 400 flights in some of its biggest markets. The strike is the largest the airline has seen its 34-year history, affecting over 70,000 passengers who had their flights canceled today. “The airline says that 250 flights to and from Germany have been cancelled, along with 104 flights serving Belgium, 22 services to and from Sweden, and 20 between Ireland and Britain,” according to The Independent. German pilots and crew members are striking for better pay and working conditions. “Ryanair alone is responsible for the escalation that has now occurred. VC regrets the impact on affected passengers, cabin crew, and ground crew,” union representatives of Vereinigung Cockpit (VC) said. However, the company responded to that assertion in a tweet. 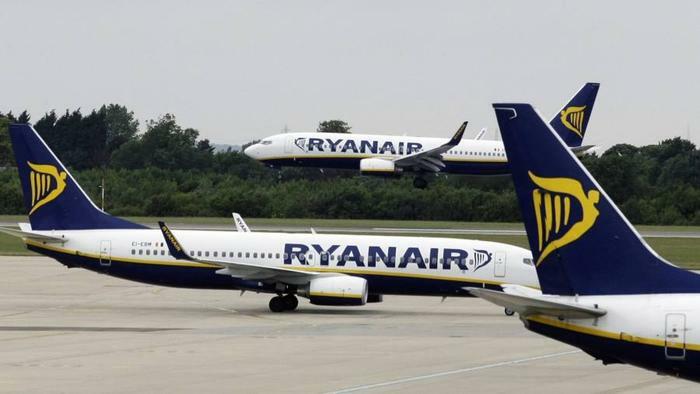 “Despite the regrettable and unjustified strike action taking place in five of our 37 markets, over 2,000 Ryanair flights will operate as normal, carrying almost 400,000 passengers across Europe. We ask the striking unions to continue negotiations instead of calling any more unjustified strikes,” the company said. In late 2017, a pilot shortage and the imminence of a holiday strike forced Ryanair to reverse a decades-long policy and finally recognize unions for the first time. Despite now recognizing the labor unions, Ryanair still has not signed any labor contracts and “has responded to worker demands with its characteristically pugnacious approach,” according to CNN. Because of continued pilot strikes in Dublin, Ryanair announced last month that its Dublin fleet would be smaller by 20 percent come the winter. The company also warned 300 of its employees -- 100 pilots and 200 crew members -- that their jobs aren’t safe, while also posting pilots’ earnings on the company website to show just how much Ryanair pays them. CNN sees the issues between Ryanair and the unions could be enough to remove CEO Michael O’Leary from his position at the company. O’Leary has been at the helm of Ryanair since 1994 and is under contract until late next year.